This blog is officially one year old. Isn't that fabulous? I think so! 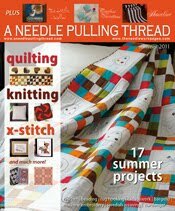 The Needle and Thread Network began last year as a link-up party for Canadian bloggers in any area of fibre - from rugs to dolls, knitting to art quilts, lace to felting, and so much more. 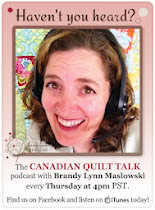 I was started by Monika Kinner-Whalen. You can stop by this blog any time mid week to see work in progress from bloggers across the country. Shortly after, Rita Penner joined in as the Feature Friday host. If you would like to see who's been featured so far, click on the Feature Friday tab at the top. If you fit the bill, we would LOVE to have you sign up there to be featured in an upcoming post. Please, don't be shy! More recently, Jackie White was enlisted to post call for entries. She's THE woman in-the-know for that job! You can peek at current opportunities by clicking the top tab: Call for Entries Canada. 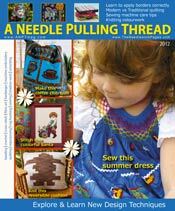 We are proud to announce that Canada's own A Needle Pulling Thread magazine is helping us with the party by offering a one year subscription to one lucky winner drawn at random. Thank you ANPT!! 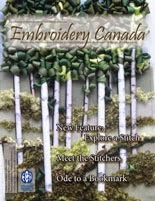 This particular magazine is packed full of fibre everything by Canadian designers - from clothing to crochet, hardanger to fibre art, quilts, rugs, knitting, embroidery... you name it! 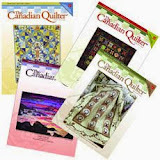 Please go to their website linked above to see samples of what can be found inside. 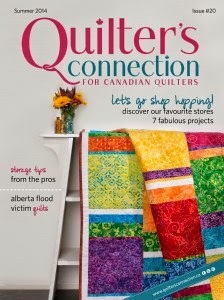 Interested in winning a subscription? EVERYONE can enter once by becoming a follower of this blog, regardless of where you live. And EVERYONE can enter a second time by liking ANPT on facebook HERE. All entries need to be in the form of a comment at the end of this blog post. (Max. 2 per person.) 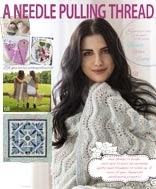 The lucky winner will be announced in a week's time here on The Needle & Thread Network.